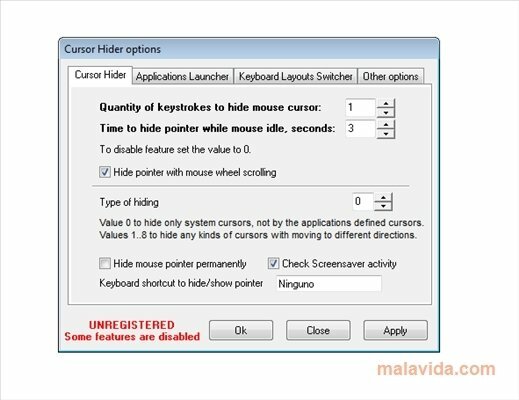 Cursor Hider is a program that has been designed to hide the mouse cursor when you make use of the keyboard, something that can come in very handy for those users that, while they are writing any text or enjoying a game, don't want to find the mouse arrow in the middle of the screen, because it can turn out to be rather bothersome. The program can be configured by means of a simple panel from which you will be able to customize the reaction time of the tool or a keyboard shortcut thanks to which you will be able to make the cursor reappear. 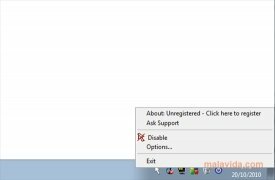 Obviously, it is an application that has been designed for users that usually use their computer to write and fill in forms all the time, and it may not come in very handy for the rest of the users, because they may not find any use in making the mouse disappear. 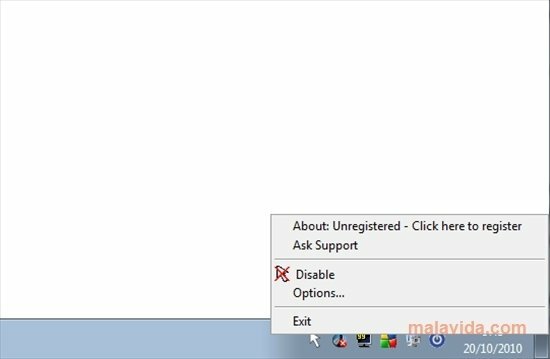 Discover the most simple way to be able to hide the mouse cursor, thanks to Cursor Hider, a simple and quick utility. Some of the functions are disabled in the trial version.